Grass weeds and disease can decimate crops – and with chemical resistance on the rise it’s more important than ever to choose the most efficient control methods. 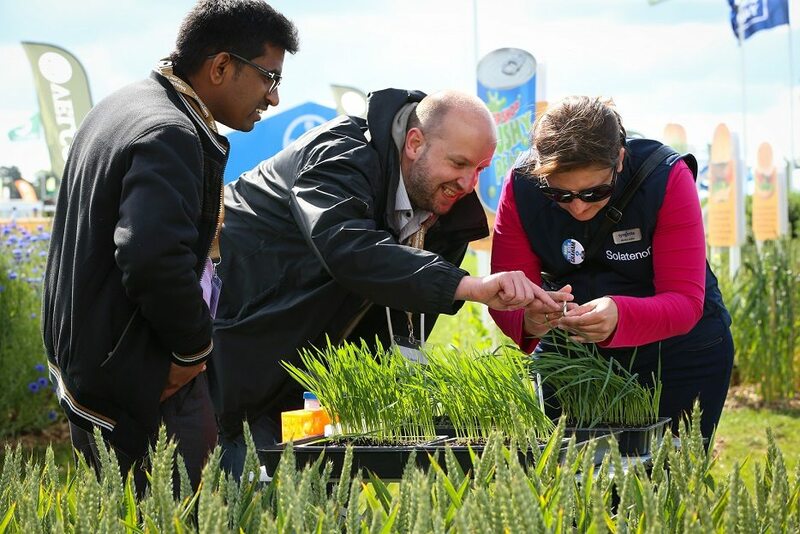 Whether it’s cutting edge new chemistry, or scientifically-backed advice, visitors to the Cereals Event (14-15 June) will be able to gather every tool in the armoury. And this year, it will be even easier to pinpoint the most relevant stands with the introduction of the Blackgrass Knowledge Trail and the Weeds, Disease and Nutrition Knowledge Trail. Amid the current glyphosate battle, growers are increasingly turning to more holistic management practices to tackle blackgrass. One of the most detrimental weeds to arable farmers, blackgrass affects approximately 54% of cereal crops and in severe cases causes a 50% yield reduction. Yara is therefore looking at all methods of control, in particular, emphasising the role crop nutrition can play. “While it is widely accepted that cultural controls – ploughing, rotation, and drilling date – are essential components of the blackgrass strategy, it is rare to see crop nutrition mentioned in the debate,” says Mark Tucker, head of agronomy at Yara UK. “Delaying drilling can help control blackgrass by 30% but this does leave crops coping with wetter soils that are less aerated, reducing nutrient availability. In the ever-popular Bayer black-grass area, visitors will be able to talk through all aspects of control programmes from cultural management, such as spring cropping and delayed drilling to new chemical options, including Hamlet (iodosulfuron + mesosulfuron + diflufenican), Monolith (mesosulfuron + propoxycarbazone) and a new pre-emergence black-grass herbicide. “This year we are bringing our weed-screen to Cereals, which will allow growers to see herbicide performance from new and current options across a range of grassweeds, including different resistant strains of black-grass,” Ben Coombs, Bayer’s Campaign Manager for Cereal Herbicides, says. Certis will also be featuring on the Blackgrass Knowledge Trail and offering top tips on how farmers should conduct a ‘blackgrass audit’ and assess their approach ahead of the autumn. “June is a perfect time to take samples to understand the resistance status on your farm, while thinking of mapping your fields to determine areas that might benefit from spraying off to reduce seed return,” says Certis technical manager, Adrian Sisson. Management of other weeds and diseases is similarly multi-faceted, and with so many pesticides and herbicides on the market its often easy to lose track of the best available products. One of the exhibitors to be showcasing a cutting edge new product this year is Syngenta. Its new SDHI fungicide, ELATUS™ ERA, was 15 years in the making and provides control against a broad spectrum of diseases, including brown rust, ramularia and fusarium. Dow AgroSciences will be exhibiting its brand-new cereal herbicide – Zypar. Promising robust control of broad-leaved weeds in both the autumn and spring, Zypar works well in cold and variable conditions, says Dow’s cereal herbicide product manager, Alex Nichols. Calcifert – focusing on improving soil nutrition. Association of Independent Crop Consultants – Expert soil scientist on hand discussing crop nutrition. ELsoms Seeds Ltd – Looking at hybrid and conventional rye to counteract high blackgrass populations.